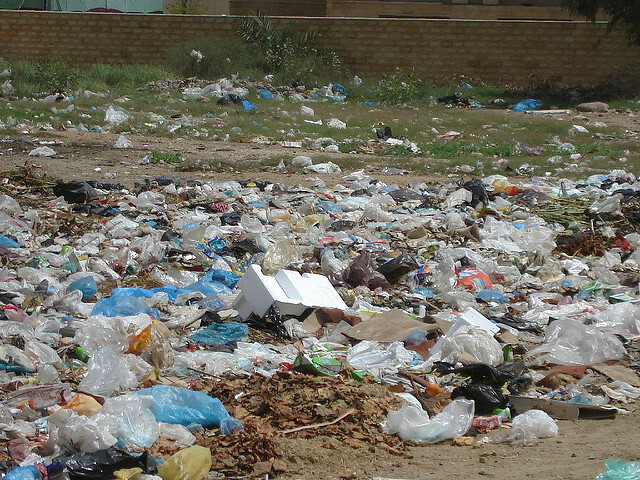 The country’s supermarkets alone distribute as many as 100 million plastic bags annually. Kenya’s ban on plastic bags went into effect on Monday August 28, with offenders subject to serious fines or jail time. The ban covers the use, importation, or manufacture of plastic bags. Although it was passed in February, the new ban didn’t go into effect until this month so that Kenyan consumers would have the chance to adjust to the change. The delay also gave importers a chance to challenge the ban in court, which were ultimately rejected by the country’s High Court. This makes Kenya one of dozens of countries and cities (such as New Delhi, India) that have restricted, levied, or completely banned the use of plastic bags. Kenya’s law, however, is notably harsh: imposing fines of up to $38,000 (32,000 euros) and prison sentences of up to four years. Neither plastic bin liners nor plastic-wrapped goods violate the law. This plastic waste problem is not limited to Kenya, though: a recent study found that almost 75 percent of British beaches were polluted with deadly plastic waste. A huge, Texas-sized patch of plastic waste was found in the Pacific recently, and this isn’t the only such example of plastic pollution in our oceans. While researchers are working to come up with creative solutions —such as recycled plastic roads and use of plastic-eating caterpillars — it is essential for other countries to follow Kenya’s example.